Before making a UFC debut in early 2018 Israel Adesanya knocked out all of his 11 MMA foe’s at middleweight scene and holds an impressive record of 75-4 at kickboxing. With an unprecedented combat track and rangy, technical strike skills inside the cage, Adesanya has drawn comparison to some great fighters with the likes of Anderson Silva and Jon Jones. During a UFC On Fox 29 media day scrum, which was held in April 2018 where Adesanya said it’d be disrespectful to compare him with Jon Jones by considering what he has accomplished in sport. Now Jon Jones clears the airs stating him and Israel Adesanya don’t have many things in common other than having a similar tall and slim body and the same skin color. “We have similar body types and we’re both black,” joked Jones during a recent interview with UFC. “And that’s about it. I don’t think we fight alike, I don’t think we fight similar. I do a lot of wrestling, heavy ground-and-pound, a lot of submissions. I strike in both stances. I feel like our games are very different,” he added while saying he feels Israel will be a force in the fight game. Anyway, Jon Jones respects Israel Adesanya, and believes he is a great name for the sport. Israel Adesanya will face the toughest challenge of his career in the co-main event of UFC 234 this Saturday night. He meets the former 185-pound king Anderson Silva. If he defeats “Spider”, “The Last Stylebender” might be granted with a fight for UFC 185-pound belt, which is currently held by the all-time greatest Australian mixed martial artist Robert “The Reaper” Whittaker. Perhaps he could think of meeting Jon Jones in a super fight, who knows. 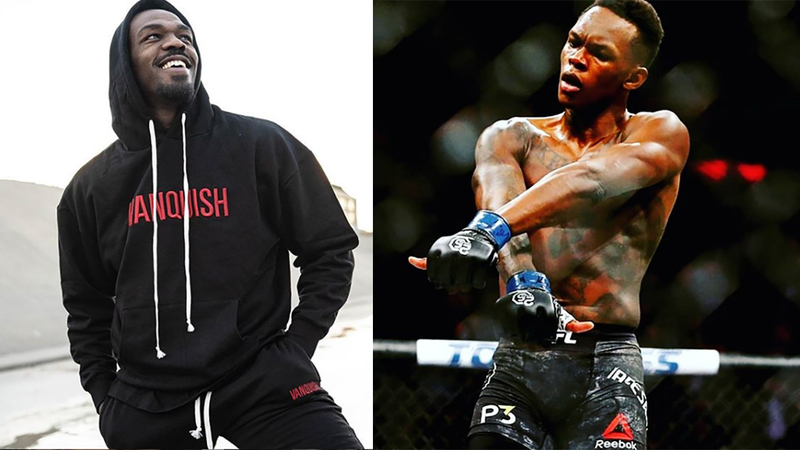 Do you think there are no similarities between Jon Jones and Israel Adesanya?